• Bet – To place an initial amount of chips on the table or money in the pot. • Call – To match the bet of the preceding player. • Raise – To bet an increased amount of chips in comparison to the preceding player. • Muck (or Fold) – To quit the hand and give your cards face down to the Dealer. • Check – To choose to make no decision at this point. You may be obliged to make a decision later in the course of the round. The game starts with a single card being dealt to each player. The player with the highest card shown is appointed as the Dealer Button. Each subsequent hand starts with a player receiving the dealer button which is passed clockwise round the table after each play. The cards are dealt clockwise starting with the person following the dealer on the left. In an online environment, tables are constantly active, so the position of the Dealer Button will usually have already been established when you join the table. The Dealer Button represents the theoretical position of The Dealer. In a live environment, this person may actually deal the cards, but at most casinos, and certainly online, The House (the venue) deals the cards. Prior to The Flop, two Blind Bets are made in order to create an initial pot. The blind bets are made by two players sitting to the dealer’s left. The player sitting next to the Button, posts (bets) the amount of the Small Blind. This is set as a half of the lower table limit. In our 20/40 example, this would be 10 USD. The player to his or her left posts the Big Blind. This is set in the amount equal to the lower limit (20 USD in our example). These forced bets ensure that there is a pot for people to compete for. They are called Small and Big, for obvious reasons – Because of their relative size. They are called Blinds because the players are making these bets before receiving any cards and are therefore blind to their hand. This may seem a little unfair to these players, but remember, the Dealer Button will move around next time and two new players will be the Small and Big Blinds. This ensures that everyone get to be The Dealer, the Small Blind and the Big Blind. For missing the Small Blind – You must pay a penalty equal in value to the Big Blind. This is an additional amount for the person who is naturally the Big Blind at this point. For missing the Big Blind – or, the Small and the Big Blind – You must pay a penalty equal in value to the Big Blind, and another one equal to the Small Blind. This smaller amount goes straight into The Pot (the chips/money that is being gambled) and does not count towards the player’s bets for the game. This is called a Dead Bet. Each player receives two face-down cards (also called Hole Cards, Pocket Cards). The person sitting to the left of the Big Blind position is the first one to act. In this round, he has three options. He can Call, Raise or Muck. If he mucks, as already mentioned, he throws his hand away, and the action passes to the next player on the left. If he calls, he matches the value of the Big Blinds forced bet (20 USD in our 20/40 example). If he chooses to raise in a Fixed Limit game he can only raise by a further 20 USD, to 40 USD. In our 20/40 example during The Flop the initial bet would be 20 USD, the raise would be a further 20 USD – meaning that player has bet 40 USD, the re-raise would be to 60 USD and the cap would be another 20 USD which amounts to 80 USD. After the cap was made, no more raises allowed during this round. Remember, bets and raises on the Turn and River will be made at the higher limit (we will see this later). Eventually, the consequence of the allowed raises looks the following: bet, raise, re-raise, cap. Now let’s get back to the game. The action continues clockwise around the table, requiring each player to make a decision whether to call, raise or muck as they see fit, until it reaches the player at the Small Blind position. Let’s suggest that everyone has called. In our 20/40 example, this would mean they have all committed 20 USD to the pot. So now it is the Small Blind’s turn to act. Remember, in the beginning of the round this person has already bet an amount equal to the half of the lower limit (10 USD in our example). Because of this, if this player decides to call, he will only have to add 10 USD in the pot (making 20 USD in his total). Of course he can also raise up to 40 USD or muck. So here is when the action moves to the Big Blind. This player has already committed 20 USD to the pot. Theoretically, the Pre-Flop may be considered to be over, because everyone has committed the same amount but, as the Big Blind is the only position that has not yet made a decision based on his cards, he is allowed to do so in this specific moment. He can raise (to 40 USD), check or muck. Usually, a player cannot check whilst there is money on the table, but, in this specific case, the player at the Big Blind position can actually check. It is also important to remember, that, in most cases if you still have an option, especially at the very beginning of the game and in the first couple of rounds, you should better check instead of mucking your hand. This gives you more opportunities as you are still in the game and you may always receive cards that will enhance your hand. In case the player at the position of the Big Blind decides to make a raise, the game traditionally continues clockwise the table again until all players have called or mucked their cards. At the end of all regular rounds, the game continues until all players have committed the same amount of money into the pot, or have mucked their cards. In the current example, we’ll let our Big Blind player check. At that, the round of Pre-Flop is considered to be over and all the chips are collected and placed in the middle of the table. The dealer deals three face-up cards on the table. These cards are traditionally called the Community Cards or the Board Cards and, as the name implies, these cards are shared by all players at the table to help complete their poker hands. When the community cards are dealt, the first person required to make a decision is the player to the left of the Dealer Button. Usually this is the person in the Small Blind position, but in case the latter has mucked, then the next player is the first one to start the action. This player can either check or bet. The action then continues until each player has had a chance to check, call (if there has been a bet or raise), raise or muck. Once there is a bet or raise, each player must match the made bet, re-raise or muck for the action to continue. It is usual for all players to check during a round. In this case, no money would be added into the pot, and the round would be over. The end of the round comes once all the players have called (or mucked), and have bet an equal amount. The dealer places a fourth face up community card on the table. Again, the players, starting with the player left of the Dealer may check, bet or muck correspondingly. Anyway, in this round (and the following), all the players should bet and raise according to the higher limit of the table. Following our example the maximum amount of bet and raise in this round is 40 USD. The action continues, as before, with all the players finally betting the same amount, or mucking their hand. Again, all the chips bet in this round are pooled in the center of the table. The dealer now deals the 5th face up card and this is the final community card on the table. Each player now has seven cards in total: their two hole cards and five community cards on the table). These cards serve to make the best five card combination. Again, the player left of the dealer is the first to act and the action continues around the table the same way as before. Important note: in this, or any other round, if a player bets or raises and all the other players muck their cards – the hand is over and the player who made the last bet or raise before everyone else automatically wins the hand. Beside the point, the winner is not obliged to show his hand, though he collects all the money bet up to that point. In case the game is still in progress and all or a part of the players are still in the pot, after the River, the remaining players should compare their cards to determine the winner in the last round called the showdown. Traditionally, the player with the highest ranking hand wins the hand and grabs the pot. If two or more players have identical hands, then the pot is split between them with any remaining unpaired chip(s) going to the player left of The Dealer. In case you are playing a professional version of Texas Hold’em and want to stick to all the peculiarities of this game, remember the following structure which shows how players should display their cards. The first one to show his cards is the last person to take aggressive action when betting or raising at The River. For instance, if the player at the Small Blind position checks, the Big Blind position bets 40 USD and everyone else calls. In such situation, the player at the Big Blind position would show his cards first. However, if someone else raised (and everyone else called or mucked), then that person would be the first to show his\her cards. If the player to his left can beat that hand, he would be the one to display his cards. However, if they have an inferior hand, then they are not obliged to show their losing hand and can simply muck. Once all the players have displayed their hands (or mucked) then the player(s) with the highest visible hand wins the pot. After The Showdown, all cards are returned to the dealer, the winning player collects his chips and the Dealer Button is moved clockwise to the next player. This action, as mentioned before, ensures that the Dealer, Small Blind and Big Blind are rotated, ensuring that all players at the table play at all positions. Pot Limit games are just that. 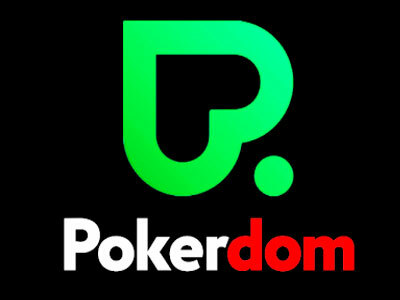 Players can bet anywhere between the current limit of the table (The Lower Limit during the Pre-Flop and the Flop and the Higher Limit during the Turn and the River), and the maximum amount in the pot and on the table. For example: We join a 20/40 game during the Flop. There is 200 USD in the pot and the player in the Small Blind position has made a 20 USD bet. The next player would need to bet 20 USD to call. Making the total pot 240 USD (200 (Pot)+20 (1st Player’s Bet)+20(Your Call)). In this case, you can raise by up to 240 USD. For instance, you raise by 160 USD. Now there is 400USD in the pot. The next player must at least call your 180 USD bet. This would mean there is now 580 USD on the table (200 (Pot)+20(1st Player’s Bet)+180 (Your Bet and Raise)+180 (Next Player’s Call). He may raise by anything between the table limit (Lower or Higher, in our example 20 USD or 40 USD) and 580 USD. As you can see, the pot size increases exponentially and, because of this, this type of poker may sometimes be considered closer to a No Limit game than a Fixed Limit one. Quite simple, as the name implies, in a No Limit game, players can bet anything between the limit of the round and their total amount of chips. Betting all your chips, in any poker game is called going ‘All In’. This could be because you choose to raise by the full amount of your chips, or because you simply have run out of chips during that particular hand. Note: Rebuying chips DURING a hand of poker is strictly prohibited. If, during a hand, a player runs out of chips, but other players continue to bet, then the pot is split at the point the player bet all his chips. All subsequent bets made by the other players are kept in a separate “Side Pot”. At the Showdown, the original player is only competing for the Main Pot, the one that he contributed to. All other players are competing for BOTH pots. In a land based environment, the winner of the side pot is determined first. Occasionally, you may see several side pots. Again, the same rules are applied here. Once again, players only compete for the pot(s) that they have contributed to. Omaha is a Texas Hold’em variation played almost identically with the only exception – the player is dealt 4 hole cards dealt face down instead of two as in Texas Hold’em. Your hole cards are: 5h – 10s – Js – As. The community cards are: 3d – 4d – 6c – 7c – Kh. You may get surprised but here, neither you will make the Flush with Ace high and nor the Straight with 3-4-5-6-7. In this specific case, the only best combination to happen is a hand with Ace high. And here the best answer for your why will be the following: In Omaha Hold’em your combination is created from only two of your hole cards and three out of 5 on the table. To make a winning combination in Omaha High Lo you should create a poker combination consisting of 5 cards where the highest card in it should be not higher than 8. On order to create a lo hand combination one may use an Ace as the smallest card (the Ace may be both the highest and the loest card to help you making the corresponding combinations), Straight and Flush aren’t counted as lo combinations here. According to the abovementioned, it’s rather easy to guess that the best hand in Omaha High Lo consists of 5-4-3-2-Ace. And again, keep that in mind, the Straight and Flush are not counted here. Or even in case all your 5 cards will wear the same suit (all hearts for instance), and if the Flush is not counted, yes, this will be the ideal combination for Omaha High Lo. And you must also remember that any pair here will count as high. So in that case, 2-2-4-5-A will not make a “lo” combination. When none of the players managed to create a lo hand, a player with the highest hand wins. On the contrary, when there ae two players, one with the highest hand and the other with the loest one will split the bank. In rare cases the player with both possible combinations in a single hand will take both High and Lo parts of the bank. In a course of this game a player is expected to make the high hand first and only then (when it’s possible) create a lo hand. And the same rule acts for the showdown: the highest hand winner is determined the first. How to play in Omaha High Lo? As it has already been said, the game is played almost the same way as Texas Hold’em with the only two differences: the players are dealt 4 hole cards instead of two as in Texas Hold’em and the second difference is that the entire pot is divided into two parts – one for High hands and the other for the Lo one. Each player is supposed to create a 5-card combination for the High hand and the Lo combination for the Lo one. All the winnings are split correspondingly. In case none of the players has managed to create a lo hand combination – the entire pot comes to the player with the highest hand. In case a single player wins both the high and the lo hands – he takes the entire pot. Alternatively to the Texas Hold’em each player is dealt 4 hole cards. You should also remember that this game will happen to be rather unprofitable for those players who have not defined at least a basic strategy. This is especially crucial when fewer players fold in the first rounds of the game. You’ll understand the reason why in the process. First of all let us give the definition of the “Nuts lo”. To have a Nuts lo hand means to have the strongest possible combination. The newbie players may not define it right away for the first time, though it’s quite easy and which is more important, it’s rather essential to know in order to win in Omaha High Lo. Here is a small tip for you to remember for convenience of reference: «Nuts Lo» is «2+3». It means in case two of your four cards in your hole cards are deuce (2) and Ace – you’re holding a Nuts Lo combination. But you should also keep an eye on the community (board cards, cards on the table) cards, as three of them consisting of 8 and loer and cards with no pair will be added to your deuce and Ace and form the loest possible combination right in your hand. Another favorable outage for you will be created by Deuce and 3 and Ace on the table. As in a course of the game two more community cards will be added, like 8 or lo and a couple of no-pair lo cards – you’ll certainly have the Nuts lo. In this case we highly recommend you to raise the bets as in this situation you have some rather high chances to take at least the Lo hand pot. The community cards: Dc – 9c – 7c. As most of your opponents are likely to have the Flush hearts, you may keep calm as you know you’ve got the highest possible Flush – Nuts Flush. Being able to recognize this kind of combination may significantly improve your situation in the game and help you define your further bets volume. Ideally you should know how to define the best possible combination of your opponent and if there are three cards of the same suit on the table. You must realize that in such situation at least one of your opponents may theoretically have a Flush. In this case if you are 100% sure your hand is not strong enough to beat a Flush – you must fold. On the other hand in case the community cards on the table form a light Straight as 3-4-6-8-9, it will get much better in case you are having at least Straight or a hand strong enough to beat it, on the contrary – you’d better fold. Of course these examples may seem somewhere between science fiction and facts, though they clearly demonstrate the necessity of the player’s high attention to the possible cards of the opponents. As this game involves a great deal of winning combinations, be ready to the fact that the number of them will seriously exceed the number of possible combinations in Texas Hold’em. So be sure to understand that Three of a Kind or a Pair are far no those combinations that often win in Omaha. One of the most usual first players’ mistakes is that they are messed with defining the value of the starting hand after receiving their hole cards. That happens for the reason that most of them have discovered the poker world while playing in Texas Hold’em and that makes them overestimate their high cards while playing in Omaha poker. For example a pair of Aces would have seemed a pretty strong combination for the PF (preflop), while it often appears to be the no-winning one when the flop doesn’t show the third Ace. Another vivid new players’ mistake is an uncontrollable raise in case of a high pair right after the deal. Such evident raises are usually easily predicted by the experienced players who tend to draw parallels between bets and raises while waiting for the strong card in the flop. Another obvious mistake is the lo skilled self-evident attempts to bluff. Moreover this is one of those mistakes that may become a pure disaster when most of the players will reveal this bluff by drawing the analogy between the previous bets and raises and so the bluff will just remain unreasonable. So here is the small tip for the new Omaha poker players: keep your fair name and try to avoid bluffing until you feel secure enough for your defined strategy. When switching from Texas Hold’em to Omaha, some new players will obviously to notice the parallel between the usual volume of the traditional Hold’em and Omaha High-Lo’s pot which tend to be well above. While most of players fold just after the flop when playing in Texas Hold’em, Omaha players with 4 hole cards in hands along with a vast number of odds will unlikely fold their cards after the first deal. Another common mistake for the new players is not folding their cards with Nuts (the highest possible hand at the moment) after the flop. For instance you happened to get Nuts after the flop, let’s say it was high Straight with Ace. So what happens next? The players will raise until it’s your turn to make a decision. And when the players are obvious to make a bet rather than waiting for a Flush, your best decision will be folding your cards and pick your better moment. What is a pot limit? Pot limit is a kind of Omaha poker, which is also known as PL. This means that any bets or raises in a course of this kind of game are to match the amount in the pot. In other words, the pot volume will be acting as a limit during the betting round. The max bet in the first betting round should be equivalent to the sum of the Small and the Big Blinds. For instance, in the 10\20 bet limit game, the first bet shouldn’t exceed the sum of the Big and the Small Blinds, in terms of the current example the bet may not exceed 30. Thus, the next player may either match the bet in the amount of 30, or raise it up to 60. Pineapple Open Face Chinese Poker – a kind of Chinese poker in which from the second turn players receive three cards face down, one of which must be folded. Opponents in the end see only two cards, the third remains undisclosed for them. The game is played with a standard deck of 52 cards (from 2 to Ace, no jokers). The suits are equal. The maximum number of players in Pineapple – 3. In the case of fantasy, player receives 14 cards, of which 13 must be used and 1 discarded. Goal of the games is to get the strongest combination to beat opponents and collect more points. The player with the most points at the end of the round wins. The game is played with 52 cards. There are no community cards or betting rounds. Dealing of cards in hand. Cards are dealt alternately on 5 streets. – 1st street – 5 cards are dealt. – 2nd street – 3 cards are dealt. Starting from the 2nd street player must lay out 2 cards in the boxes and discard 1 card. – 3rd street – 3 cards are dealt. – 4th street – 3 cards are dealt. – 5th street – 3 cards are dealt. Possible combinations: three of a kind, one pair, high card and etc. as for stronger combinations at least 4 cards must be used. Rule of boxes: the front box can’t beat middle box, the middle box can’t beat back box. Combinations must be sorted by seniority from bottom in ascending order. Equal combinations are allowed. If this rule is not respected, the hand is considered as fouled and player won’t receive any points. When at the table are seated at least 2 players, each player must confirm that he is ready for game start. The game will not start untill all players confirm it. To confirm, players must select play in a pop up window. After the start of the hand on the first street, the player, which is on the left from dealer, is dealt 5 cards. All players can see these cards. Player must put all 5 cards in three boxes. The games is played entirely open. Players don’t have any undisclosed cards. All cards are laid out in boxes, content of which is available to all participants. Players lay out cards one by one. The process of laying out on the first street is visible to all players. Once the player lays out all cards, the “Ready” button is available for him. Until the end of turn, player can shift any of his cards. After end of move, the next player is dealt 5 cards and so on, until the first street is not completed. End of move at remaining streets. Starting from the second street and till all the players have 13 cards laid out, players receive three face down cards and lay two of them out to the boxes. The reaming card is discarded by pressing the button “discard”. By discarding the third card, two others are opened. Player can’t move the cards laid out on previous streets. Each player have same amount of time to lay down cards on every street – 2 minutes. Starting with the first street there is a countdown. On the second street player has less time than on the first and etc. If a player is out of time, he will have additional time bank – 3 minutes. If player uses all the time, but still has remaining cards, they will be placed automatically. – Cards are laid out in the order they were received, first on bottom line, after that on middle and upper. – Starting from the second street first two received cards are laid out and the third one is discarded. If a players has a disconnect with server, “Time Bank” is also launched – 3 minutes. If at the end of all “Time Bank” player will not manage to establish connection with server, his current had will be dealt automatically and counted, the player will be moved to “Sit out” and will not continue the game, except of those cases, where opponent has a right to deal “Fantasy”. According to the rules of Chinese Poker “Fantasy” is a continuation of active hand, that is why it will be played and only after player will be moved to “Sit out”. Time bank relaunches after the player moves to another table. At the end of hand scores are summed up. Points are awarded at a pairwise comparison of each players’ hand. In each pair respective combinations are compared: highest with highest, average with average and lowest with lowest. In case of draw on any of the hands (for example both players have equal flash on bottom line) none of the players receives points for this hand. Player gets 1 point for each won hand. Additionally, player gets 1 points if he won 2 out of three hands or all of three hands. In case of draw none of the players receives the points. But if player wins with two other hands, he receives three points – one for each won and hand and one additional. Additionally, player gets 3 points if he won all of three hands. if at the end of the hand player made up combination with fail in the order of their strength, than the hand is considered as fouled. In this case all his combinations are considered as lost to others and he doesn’t receive any points but pays a fine in amount of 6 points and bonus points to each of the players. If two or more players have “foul”, then their hands receive 0 points at comparison stage. In addition to the points for a win, players are awarded with royalties for the combinations, regardless the results of distribution. 7-Card Stud is considered to be one of those classical kinds of poker, though in case you are sure that traditional Texas Hold’em is not a challenge for you anymore, you definitely should try 7 Card Stud. This game is all about making the best 5-cards combination out of 7 cards in hand. The core principle of 7 Card Stud is to remember all the dealt cards and be fully aware of your starting hand potential. Despite the fact that 7 Card Stud in many ways is played the same way as many of the classical poker games due to the similarity of the winning combinations, though it has a range of differential peculiarities which worth to pay attention at. One of the key differences of 7 Card Stud is that no Blinds are used here to start the betting round or the entire game. Here all of the players should place bets in the same amount depending on the set table limits. Each player should make a forced bet which is also called Ante. The volume of this kind of obligatory stake depends on the table limits, usually varies from 10-25% of the minimal required bet. On the most frequent occasions the 7 Card Stud is played with the fixed stakes limits. The most important thing here is to stay patient as those really strong starting hands, which will guarantee the immediate win, may occur quite rarely. That’s why before folding your cards right after the flop, you should make a narrow investigation and conduct the deep analysis of all the potential variants with your dealt cards. As your practice with any other kind of poker game may show you, there is nothing more efficient and worthwhile than actually practice and deep conscious approach. That’s why we are not here to dwell on the conventional or generally accepted special magic system that will help you in winning. Here you have to realize that the result of the game as well as your personal success depends only on your ability to read your opponent. We’ll address this issue in more detail lately. As opposed to most of the poker games, here you won’t face any community cards. Each player here is dealt 7 cards in the whole. All the players who managed to reach the final round are to make the best 5-cards combination out of 7 cards in the hand. As usual, this game is played using a standard 52 card deck. Namely the number of cards determines the number of people, who can play in a single game session. The number of players in Seven Card Stud varies from two to maximum eight. And now let us observe the whole game process in the right order. As opposed to Texas Hold’em and Omaha poker, Seven-card stud is played with bet limits only. In Seven-card stud you won’t find any Pot Limit or No Limit types of the game. In the current article we’ll consider the following example: 7-Card Stud with fixed limit 10\20. Before the dealer deals the first cards to the players starting from his left clockwise the table, each player should make an obligatory stake, which is also called the Ante. The amount of the Ante is usually about 1\5 of the minimal table limit. Ante plays the same role here as Blinds in traditional Texas Hold’em – it is placed to start filling the pot. So the first deal is the following: all the players are dealt two down cards. Once the dealer has dealt two down cards for each player, he deals one more card, but this time face up. All the cards dealt face up are to stay on the table. So now each player has one face up and three face down cards. The first betting round is called “Third Street” and it is to be started with the player showing the highest card by rank and suit. Suits are ranked from the highest to the: Spades, Hearts, Diamonds and Clubs. The player with the lowest card showing is required to make a forced bet known as the “Bring In” bet. This bet is usually set by the table. Following our example, with 10\20 limits, here the Ante will be equal to 2. After the bring-in bet was made by the next player on the immediate left of the player making the bring-in bet and has the option of folding, calling or raising the bet as usual. The amount of raise in the first round of the game shouldn’t exceed 10 (the lower limit of the table). Each round allows only one bet from each player and three raises, consequently the maximum bet in this particular case is 40. After all the players made their bets the dealer deals another face up card traditionally called “Fourth Street”. On the cards dealt, another betting round starts with the player showing the highest hand. The amount of raise in the first round of the game shouldn’t exceed 10 (the lower limit of the table). A player showing a pair is allowed to bet 20 (the high table limit). After this all players starting from the left of the player showing the best cards, are to make their decisions. After the second betting round, the next card to come is also face up and is called “Fifth Street”. So till this moment each player has 5 cards in total: 3 face up cards and 2 hole cards. The amount of the first bet in this round is 20. The next betting round again starts with the player showing the highest hand. So the third betting round is over and the dealer deals the last face up card to each player and this round is called the “Sixth Street”. Again the betting round starts with the player showing the highest visible cards and the bets’ volume exceed in accordance with the high limit. And after the betting round, the dealer deals the last card to each player and this card is dealt face down. In poker community the last card in the Seven Card Stud is often referred to as “down and dirty”. This card is followed by the final betting round and the amount of required bet is stable. Now each player uses five of his seven cards to make up his final hand. On deciding which combination is better, all players reveal their cards and the best of these card combinations wins the pot. Razz is a variant of 7 Card Stud where the best low hand wins the pot. The game can beplayed by two to eight players. It is played with 52 card deck containing no jokers. Each player is dealt a total of seven cards, but only the best five-card low hand is used to determine the winner. Unlike in 7 Card Stud Hi/Lo, in Razz there is no ‘eight or better’ requirement towin the pot. Remember that (unlike Seven Card Stud Hi/Lo and Omaha Hi/Lo), there is no ‘qualifier’;the best low hand wins the entire pot. This game is particularly exciting because all the lower cards from 2 to 6 are removed from the deck, so you end up with a lot of high cards, and it’s easier to get three of a kind or a full house. Keep that in mind when you’re playing – your hand might be great, but so are your opponents’ hands! 3 blinds – small, big, and over when more than 3 players (2-3 players reverts to just small and big blinds). A relatively new variation of poker, which combines the features of Texas Hold’em, Draw Poker and Razz. Each player is dealt four cards, and the lowest hand wins — four cards of different rank and suit. The game can be played a maximum of six players and is played with 52 card deck. Ace is always the low card. The beginning of deal is similar to Texas Hold’em — two players to the dealer’s left post a small and a big blind. After that players are dealt four cards, and a player on the big blind’s left begins a first betting round. The game involves four betting rounds. During each of three drawing rounds, players can trade zero to four cards from their hands. After the fourth betting round ends, the remaining players reveal their cards moving clockwise around the table. The player with the best hand wins the pot. Badugi is the hand that has four cards of different rank and suit, the best of which is 4-3-2-А. Three-card hand — is made of three unpaired cards of different suits. Two-card hand — has two unpaired cards of different suits. One-card hand — the low card wins. The worst hand in Badugi is К–К–К–К.